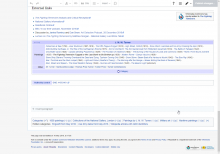 There are three slugs in every header or footer on Wikisource VisualEditor, and the latter two of them don't work (cause an exception when clicked). It appears that there are three slugs because we try to insert them between every pair of nodes (except before the page quality selector, which is explicitly disallowed), and there are invisible meta nodes there (mwAlienMeta) corresponding to the <noinclude> and </noinclude> wikitext tags. And they do not work before the meta nodes have no rendering (duh), and ve.ce.Surface.prototype.createSlug apparently only works if the slug is preceded by a node rendering. This was probably caused by T56299 (before that, there was no meta nodes). Actually, the real problem here is that the mwAlienMeta nodes are inside the sections, rather than outside. We do not want to allow inserting anything between the mwAlienMeta and beginning/end of section (since that content would end up outside <noinclude></noinclude> in wikitext). Meta item really shouldn't trigger slugs. Pinging @dchan . @Esanders : yes, that seems to solve the issue, both in my local testing and when I monkey patch the live pl.wikisource.org page above. 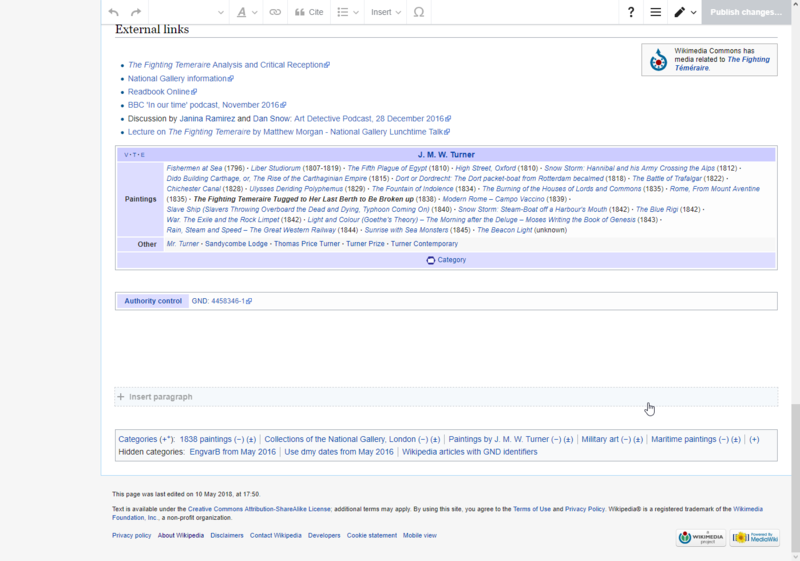 Note for testing – similar issue also occurs in Wikipedia articles, with a block of non-functional slugs appearing at the end (they are inserted between the invisible category links). • Vvjjkkii removed matmarex as the assignee of this task. Bodhisattwa closed this task as Resolved. Bodhisattwa lowered the priority of this task from High to Low. Bodhisattwa assigned this task to matmarex. Bodhisattwa removed projects: TCB-Team, Mail, New-Editor-Experiences, Language-2018-Apr-June, KartoEditor, Jade, Hashtags, Gamepress, Tamil-Sites, Connected-Open-Heritage-Batch-uploads (RAÄ-KMB_1_2017-02), CheckUser. Bodhisattwa added subscribers: gerritbot, Aklapper.